See more Aidan Mattox Gowns. 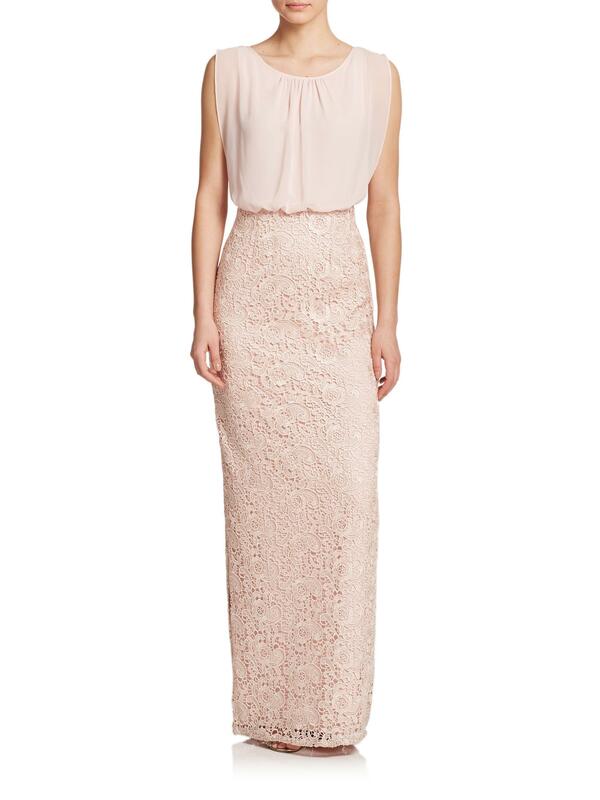 We love the feminine feel of Aidan Mattox's blush-pink gown. It has an airy blouson bodice that adds volume to the streamlined textured column skirt. Style it with heels.